WHAT IS THE PONYTAIL METHOD? 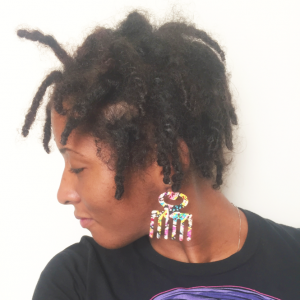 Essentially, the Ponytail Method for Retwisting means that instead of using clips to secure each loc in place after retwisting, you retwist and then secure your locs in bundles using 1-4 ponytail holders. 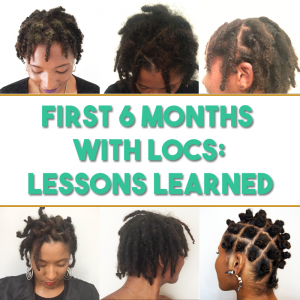 My current set of thick locs are nearly 3 years old and after retwisting consistently, every 4 weeks, I felt it was time for a change. 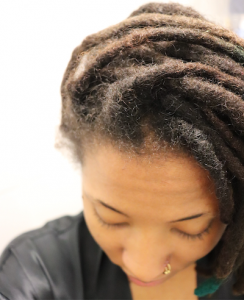 I noticed that my locs were no longer as “spongy” as they once felt and started to look and feel more condensed. This is not necessarily a “bad thing” but not exactly what I desire. 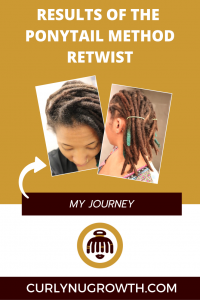 I personally discovered the ponytail method for retwisting after following several women with thick locs on Instagram (you can follow me at @curlynugrowth) and many of them either don’t retwist at all, retwist every few months, or use the ponytail method for retwisting. I figured I should try the latter because my fine, soft hair easily will create flat locs if I don’t retwist. 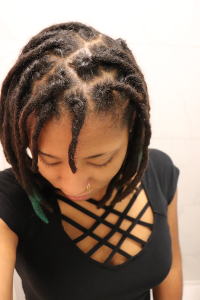 It has only been a month since my last retwist, I shampooed in-between and started consistently using the Mane Abundance oil. The Mane Abundance oil is for promoting hair growth and with little to no manipulation for this past month my roots were super full. And so with all of that thickness at my roots I knew the ponytail method of retwisting would be somewhat challenging for my hair. So after cleansing and moisturizing my locs I reached for 4 ponytail holders and started attempting this new retwisting method. I divided my locs into 4 sections on my head. 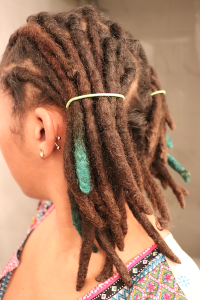 I first used the clipless retwisting technique to create a bundle of locs that I could use in the Ponytail Method. It did however take me a good 15 minutes to figure out I needed a few locs retwisted at the roots for use in the ponytail holders 臘‍♀️. 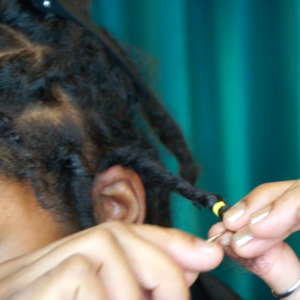 At first I would retwist one loc, attempt to secure with ponytail holder, and then it would immediately unravel. So once I got the hang of the steps necessary to do the ponytail method of retwist it went much easier and faster. After retwisting into 4 sections I then converted to two loose ponytails for the drying process. I dried my hair for about two hours using the Bonnet Dryer which is now the new normal for my locs as they have gotten thicker and longer. The results were great (in my opinion)! The ponytail method of retwisting was secure enough to control my loose, stray hairs but still loose so my locs remained fluffy. I will definitely try this method again in about six weeks! 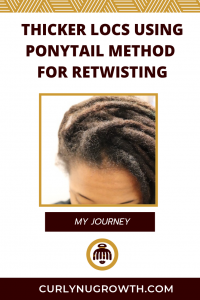 Have you ever tried the Ponytail Method for Retwisting? What was your experience like?